Author and Doctorate of Educational Leadership, Dr. Nicole Armstrong (www.shesadoctor.com ) wrote a new book on how to prepare a class for a substitute teacher! Dr. Nicole Armstrong, a substitute teacher or as she prefers to be called a “guest teacher”, has experienced more than seven years of guest teaching in two states and seven different school districts. Dr. Armstrong writes, in her own sarcastic way, these suggested instructions as a contribution that will benefit schools, administrators, certified teachers, and other guest teachers. Can you tell us more about Dr. Armstrong? 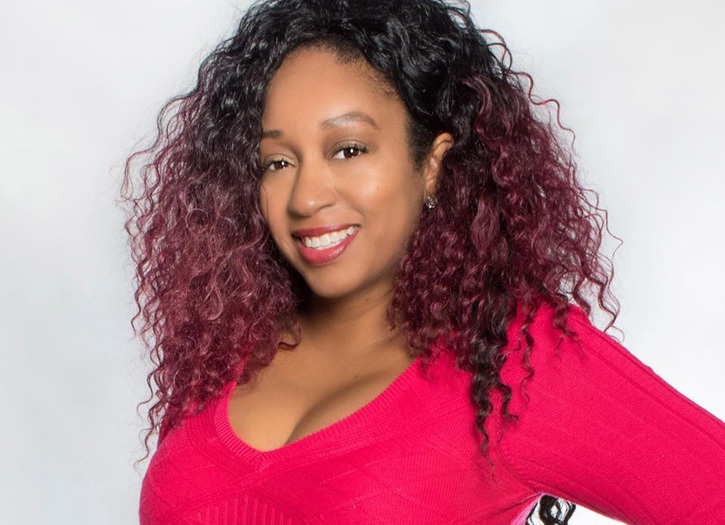 Dr. Armstrong is an author, a speaker, an educator, a mother, and an entrepreneur. I’m very passionate about education and I’m very passionate about helping others and when you put those two together, that’s what you get with me. Most of my career has been in training, I’ve done a lot of training for the corporate sector as well as jumping over into secondary and post-secondary education, which also fed my passion to help others. Also, I’m working to help others get their writings competed, especially after I’ve had the opportunity to publish my 1st book. When did you know that you wanted to become an educator? Absolutely not, as a child, I wanted to be an attorney, so this is a totally different direction. I remember I was working in a corporate setting and I continued to be asked to help people or to teach people something or to train people on something that I knew, so I started doing a lot of training in the corporate world. It was never that I started out to do, it was just something that people appointed me or asked of me. Then I just started to have fun with it because to me it was as simple as knowledge sharing. When I went back to school as an adult, originally starting off studying in business and technology, which is what I was training people in, but then when I went on to pursue to my master’s degree, I started looking at education. I started substituting just to supplement my income while I was school as a full-time student and single mother and so that’s where the love and passion came and I just continued to not only teach as a substitute, but to go on to become a professor of business and human resource management and just entrepreneurship and that’s where that love came from and it just continued to flourish. Why do you prefer to call yourself a guest teacher over a substitute teacher? I went to Las Vegas and while there I started guest teaching. Guest teaching the term came actually from some of the school districts that I taught in and they didn’t use the term substitute and I found that when the guest teacher terminology was used it was usually used for a school district that has set the standard, if you will, for substitute teachers to be respected as a teacher that is a guest in the classroom. And so I prefer that term over substitute because the substitute term had such a negative connotation for even when we were children and our parents were children because it just says that the person going to substitute and maybe not have the experience or knowledge or credentials to actually teach. So, generally think, I’m getting a substitute so I’m going to have a free day. As opposed to a guest teacher, which means this is a teacher that is actually qualified but just again in this particular room today. So that’s why I prefer the term guest teacher, it comes with a lot of respect and admiration and it gives a different feeling especially when you’re speaking to the students. You recently completed writing a book, “How to leave your class for a guest teacher,” what motivated you to write this book? It’s so funny because I didn’t set out to be an author, but when I was working in education, I noticed there was a need and I started writing about it and then I got encouragement from other teachers. They would come to me a saying, you know Nicole that was a good idea why don’t you write a book. 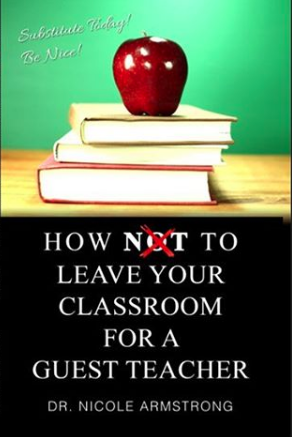 So, I wrote a book called, “How to Leave Your Class For A Guest Teacher” and it just tells teachers how to prepare their class when they’re going to be out so that the person that takes over can help them by giving the students with they need so they don’t have to come back and start all over again. What are you looking to have your audience gain from your book? Absolutely, not only that, but initially, I wanted it from teachers, and schools and administrators to look at the book and say hey this is something that the teachers need to do. And while I was writing it will let me put some things in here for the guest teachers so they’ll know what to do and then honestly after I wrote the book I was at one of my book signings and a gentleman purchased the book and I asked him, who would you like me to write this book out to, since I do autograph when I did the book signing and so he’s been I’m going to have my 14-year-old read this book. That’s when it hit me, he didn’t explain but it hit me and I said that is awesome. Then he said, yes because my 14-year-old needs to know what goes into when a guest teacher comes in and what that is all about and how to behave when they guest teachers in the room. I thought that was amazing, but then I was told that I should also suggest parents read it, especially if you have children in school because you need to know what to talk to your children about and about how they should be treated, how they should behave and how they should respect a guest teacher. So, wrote my book as a guide but I made it very light and a very easy read and I made it very simple. www.shesadoctor.com you can also it on Amazon.com. Are you planning a book tour and if so, where can people find where you will be and when? What’s next for Dr. Armstrong? From me doing my first book, I found out that two young ladies that I went to church with when I was little, that are still my friends, we were writing books at the same time we all published our books within three months apart. So, I decided that we should form a company and so we formed a company, I brought them on with me and I’m so excited to start a company called She’s An Author and so she’s an author will be a publishing company. We will publish books we will help others self-publish if they like and then we want to make sure we motivate, inspire, guide and assist authors to write their creations to completion. We want to inspire even the youth, so we’re going to be doing workshops for youth about writing and publishing, we’re going to tour the United States and just encourage people to motivate them to write and get their material out. This has been announced so you will be getting the exclusive that I will be hosting a radio starting the first week of December in Atlanta.